Acupuncture originated in China over 3,000 years ago. It is part of the holistic system of healing known as Traditional Chinese Medicine (TCM). Acupuncture has proven to be a holistic, safe and effective remedy for many medical conditions. Acupuncture is the gentle insertion of very fine needles at specific points on the body. This process stimulates movement of energy within the body, allowing natural healing to take place. Acupuncture practitioners are trained to select these points, based on over 3,000 years of experience in China. Acupuncture helps to prevent illness by improving the overall functioning of the body's immune and organ systems. Acupuncture is helpful for treating existing illnesses and injuries, preventing both recurrence of illnesses and new illness and improving overall health. Our Clinic is conveniently located in Waltham, MA. We have successfully used acupuncture to help hundreds of patients around Boston area, such as Arlington, Belmont, Boston, Cambridge, Medford, Newton, Lexington, Lincoln, Watertown, Wayland, Wellesley, Weston, and Woburn. The Chinese believe that health is a manifestation of balance, both within the body itself and between the body and the external environment. When the body is internally balanced and in harmony with the external environment, Qi flows smoothly through the meridians to nourish the organs and tissues. If an obstruction occurs in one of the meridians, Qi is disrupted and cannot flow properly. When the Qi cannot flow smoothly or is forced to flow in the opposite direction, the body's innate balance is disrupted and illness results. Acupuncture points are the specific points on the meridians where Qi is both concentrated and accessible. 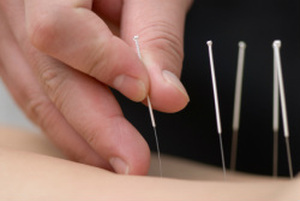 Acupuncture involves inserting needles at these specific points to restore the proper flow of Qi. As the body regains its natural balance, well-being returns. Acupuncture & Herbal Medicine Arlington, Belmont, Boston, Cambridge, Medford, Newton, Lexington, Lincoln, Waltham, Watertown, Wayland, Wellesley, Weston, and Woburn. Gold Living Acupuncture and Herbal Healthcare, 907 Main St. Waltham, MA 02454.